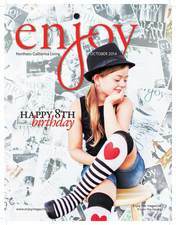 Reece was 2 when she was on her first cover with her dog Braxton and 8 on our October cover. She’s now 10 and in 5th grade and has two new dogs, Diesel and Brooklyn, to keep her company. Photography, Today, In-Print, Community Where Are They Now?